A combination of Aloe Vera and Natural alcohol creates a gentle yet effective hand sanitiser. Perfectly sizes for Hand Bag or Car use. 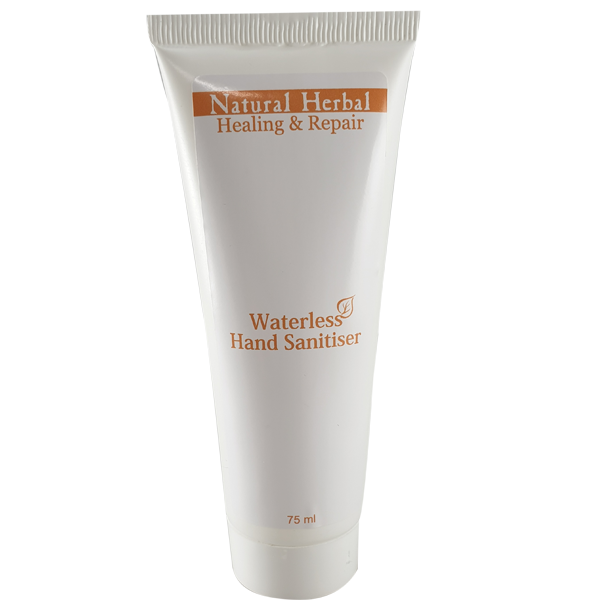 Healing & Repair Range Waterless Hand Sanitizer is the perfect combination of Aloe Vera Leaf Juice and Alcohol. Aloe Vera is known for its skin healing properties, it reduces scaring and protects the skin from the damaging rays of the sun while it also acts as an antioxidant which further protects the skin. Alcohol is natures perfect sanitiser, while also dissolving dirt and grime from the skin. Aloe Vera further provides a protective layer on the skin, reducing drying effects associated with skin sanitizers. Apply a liberal quantity to the palms of the hands. Rub together till dry. Fresh, moisturised and soft hands which are cleansed and disinfected.